Used Ferrari 550 Review - 1996-2002 | What Car? 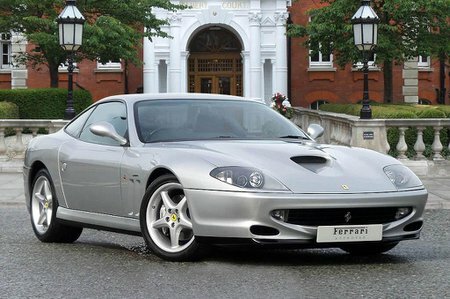 Which used Ferrari 550 coupe should I buy? Buyers of the 550 can have the car in two forms, the Maranello coupe, or the Barchetta open-top. There's no contest. The Barchetta is vastly more expensive, and Grand Tourers don't really work when they haven't got a roof. The coupe body suits the car's character much better, and it's faster, too. The Maranello has a 485bhp 5.5-litre V12 engine, and knocks off the benchmark 0-60mph sprint in 4.3 seconds. The Barchetta takes slightly longer because the extra weight of the roof-folding mechanism makes it a little heavier.